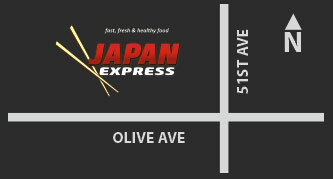 Prepared with only fresh ingredients and made when you order it, Japan Express is healthy food that won’t slow you down. Choose from the most popular Classic Rolls and Specially Rolls or select from our more traditional Hand Roll, Sashimi or Nigri for those looking to keep it simple. 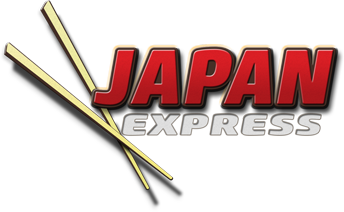 There’s no better place in town to get your sushi fix. Taste the sweet smoky flavor of our famous Teriyaki sauce glazed over grilled chicken or beef and served with sticky rice. Satisfy your hunger with a Bento boxe. Bento includes your choice of chicken, pork or beef entrée with sticky rice and a crisp sesame salad. Choose the perfect bite. Pick from our Classic Rolls, Sashimi, Hand Rolls, Nigiri and our most popular 8pc Specialty Rolls.